Property 20: Quiet , Stylish 2 bedroom Apartment , situated in the heart of town. Direct Private Beach Access, Spacious, Games Room! Property 22: Direct Private Beach Access, Spacious, Games Room! 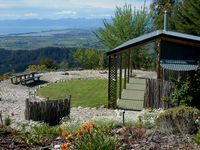 Property 29: Central Motueka Luxury Accommodation. TAKAKA GOLDEN BAY HOBBIT AND LORD OF THE RINGS. 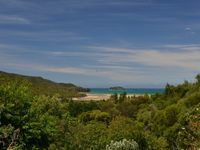 Property 44: TAKAKA GOLDEN BAY HOBBIT AND LORD OF THE RINGS. This cottage is a little unusual,but had everything we needed. Bed was very comfortable,with nice linen. It was very quiet, but the drive is very steep and possibly not for a nervous driver. We were only there to sleep,so the lack of TV didn&rsquo;t bother us. Jean Francois was a welcoming host and even left us a bottle of wine and fresh fruit. It does smell a little damp,and would need the heating provided in winter months.